Jim Clark won the Dutch Grand Prix, his first win of the season in front of 80,000 spectators at a wind-swept Zandvoort. Following the tragedy at Monaco, Richie Ginther had decided to quit, leaving Eagle with three cars and only Dan Gurney to drive them. 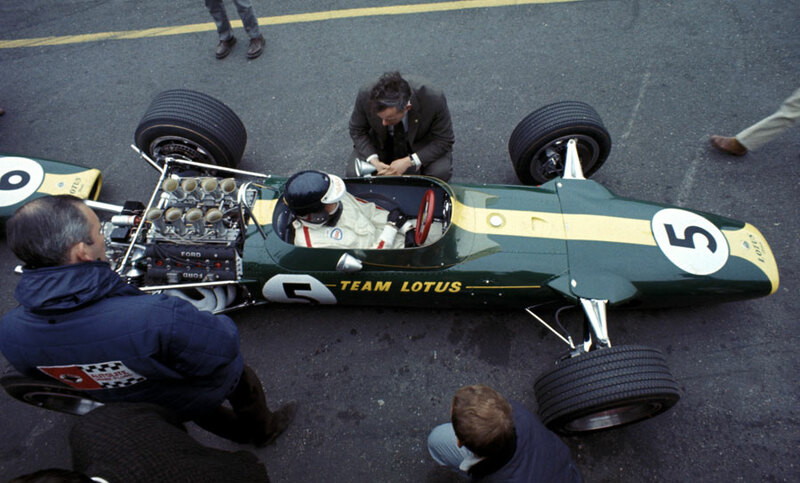 The new Lotus 49s were supreme throughout the weekend, dominating practice with Graham Hill, after initial problems with the new car, setting the fastest time in practice, although Gurney ran them close. There was some controversy when Hill's last lap was officially timed at several tenths of a second quicker than by other teams, giving him pole. There was much muttering but no protests. On an overcast day, there was a chaotic start when a steward headed between the cars to tell Pedro Rodriguez to move back, and as he turned to Jochen Rindt to do the same, the flag was dropped. Denny Hulme and John Surtees were thrown off their game as they had to swerve to avoid the steward, in turn baulking those behind. Clark, who had sat out almost all Saturday as Colin Chapman tried to locate a lingering fault, started on the third row but aided by retirements, swept through the field and by the 16th lap was ahead. His Lotus team-mate Hill's day ended when he suffered camshaft issues, but despite a stiff clutch, Clark's drive was praised for its faultlessness by most reporters. Jack Brabham was a comfortable second but had to survive a scare. Realising he would not catch Clark, he eased off and it took his pit a while to work out he was unaware that team-mate Hulme and Chris Amon were engaged in a fierce battle for third and, as a result, were rapidly gaining on him. Finally alerted, he was able to speed up and again extend his lead. Hulme won the battle for the final podium spot. With safety issues to the fore after Bandini's accident in Monte Carlo, the track was lined by silver-suited marshals with fire extinguishers, but fortunately they were not needed. On the day, an ex-rally driver called Maurice Gatsonides used his new Gatsometer to time cars - Hill was fastest at 165mph while Anderson was the slowest at 148mph. But Gatsonides had already sold his device to the police to trap speeding motorists. It was still to be two decades before the Gatso speed camera was brought into widespread use.